Great piece. But I’m unclear on one point. 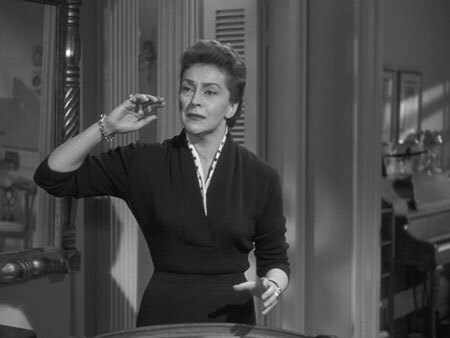 If this was the ideal of great acting in 1953, how do we account for the truly great performances before this which were very different and contemporaneously acclaimed? Does it have something to do with the distinction between (and relations between) film and theatre acting? Or something else? Trying to reach Michael Pollack, regarding Jed Harris. Thanks. Also I’d love to hear more someday about how you’d distinguish Stanislavski’s original ideas from Strasberg’s version. In middle school and high school, my (very patient, loving) parents paid for a drama coach. The main purpose was to learn to do one audition monologue that would work for everything (obviously, this was before I was clearly older than Rhoda Penmark). Not only did they have me read the play backwards and forwards about 50 times but I had “homework” to go home and write on the character’s motivations… which seem pretty simple – she wanted that goddamned medal. I remember having a really hard time pronouncing “a scuppernong arbor” let alone knowing what the hell it meant. The monologue was the one towards the end where she explains to her mother why she had to use the metal part of her shoes on him. I only saw the movie twice. After I was the hilarious montage you posted I definitely need to see it again with Rick. Great piece! Wish I could take credit for that montage . . . Some other clever person created it. It gets the zaniness of the entire picture across beautifully. I uploaded one scene from the DVD, which took forever (because I did it in HD, so it was a huge file), then had to take it right back down again because the suits Warner Media keep a tight rein on Warner Bros. property. That DVD costs about six cents to buy, but they don’t want anyone using clips from it, lest the suits get cheated out of their share of those six cents. Quite frustrating, esp. when one is only trying to do their advertising for them for free. “Scuppernong arbor” . . . ! I could hardly believe it when I first heard it. Maxwell Anderson wrote a lot of crummy stuff. As silly as “The Bad Seed” is, his plays in VERSE are a whole lot sillier . . . but no fun at all. The idea of trying to find Rhoda’s motivation made me laugh out loud: she HAS no motivation. That’s what makes the play so terrible . . . & so funny. 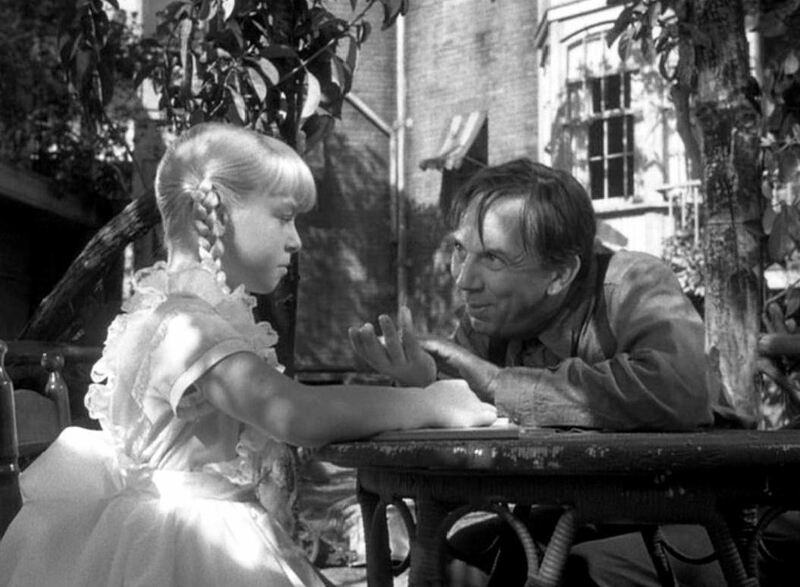 But that idea of “the bad seed” was prevalent at the time. John Steinbeck used the same stupid idea as a major plot point in “East of Eden.” The movie version left it out, but it’s all over the book. 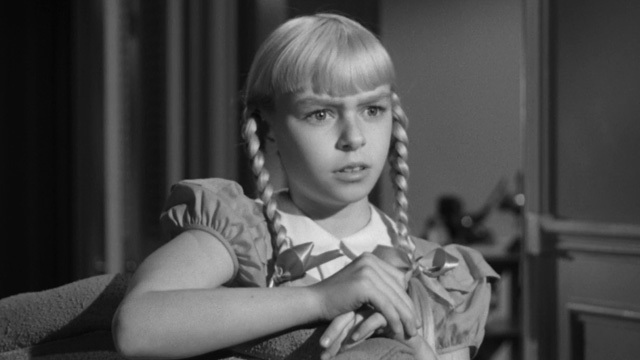 I agree with most of what you say about the film’s crazy theatrics, but I think in the case of Patty McCormack, this style of acting actually suits her character quite well at times. Rhoda is deliberately acting the part of an adorable little girl. Her mother senses this and seems a little bit uneasy about Rhoda well before the death of Claude Daigle, even if Monica is completely taken in. You can actually see Rhoda’s act faltering a little when her father has to prompt her say goodbye to him before a long trip as she’s pounding away at “Au Clair de la Lune,” and she quickly says “of course” and shuts the piano. Anyway I enjoyed the write up, and I’m glad this over-the-top melodrama has a fan base. This is the best sort of camp–camp that has no idea it’s camp and thinks it’s serious important stuff, much like “The Black Swan” from a few years ago. I am not replying to anyone’s comment in particular,I just wanted to give my opinion about this movie. 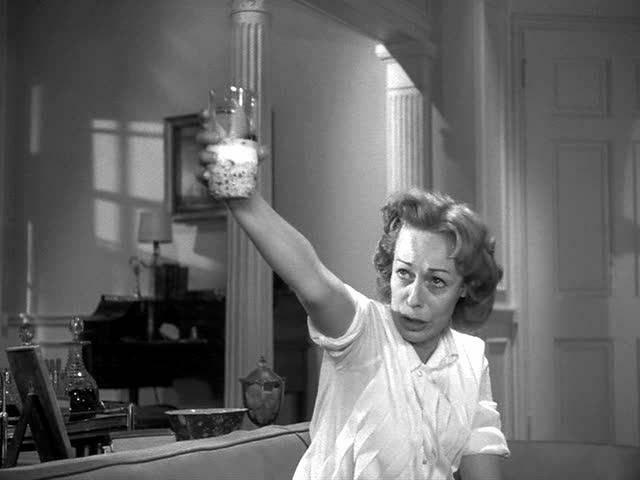 I love this movie, primarily because of Nancy Kelly. She is one of those rare actresses that can convey what they feel through body movement and facial expression. I wish some things had been done differently in the movie, with her, especially the dad, and other scenes, but hindsight is 20/20. She does seem to overact at some points, but then in others she is PERFECT. Like this scene in the kitchen when she breaks down to cry. She sounds very natural. Again when she struggles with the kid to pry the shoes out of her hand-very natural. I have seen her in other things, and she is a very believable, natural, yet underused actress. Because of this movie, I have sought her out, and I wish she had been in other major movies. JFYInformation: I am writing a book (autobiographical), which includes chapters about Jed Harris (director and producer). I will show the other side of the man. Every coin has two sides. It only depends who’s flipping it sometimes.